Whether you are faced with stove or fridge problems, consider your kitchen appliances repair Manhattan Beach needs covered. Our expert team is at your disposal for repair services. We come quickly to identify issues with faulty kitchen appliances. Each pro on our local team is certified, qualified, and insured. We fix all sorts of appliances. From small ones to gas and electric appliances, we repair them all irrespective of make and model. Contact CT Appliance Repair Manhattan Beach today if you need professional service at a low cost. Equipped and knowledgeable, our appliance technician will fix trouble in a jiffy. We know how to troubleshoot in order to identify problems. In order to diagnose appliance issues correctly and quickly, we use special equipment. We also have the experience and expertise required to fix them. Not only do we come quickly but also have the appliance parts to replace the worn ones. And so we complete our appliance service to your satisfaction. No matter how durable and expensive your appliances are, they will still wear over time. That’s why our appliance service technicians are available for maintenance as well. We can check your appliances periodically, repair minor issues, make adjustments, and ensure they work efficiently. That’s important for you because you won’t deal with sudden issues, energy loss, and total break-downs. 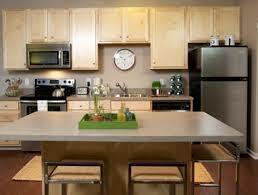 We are the team to trust and turn to when you need kitchen appliances repair in Manhattan Beach. Our techs are experts in their work, arrive fast, and can fix any kitchen appliance. Call our team today.